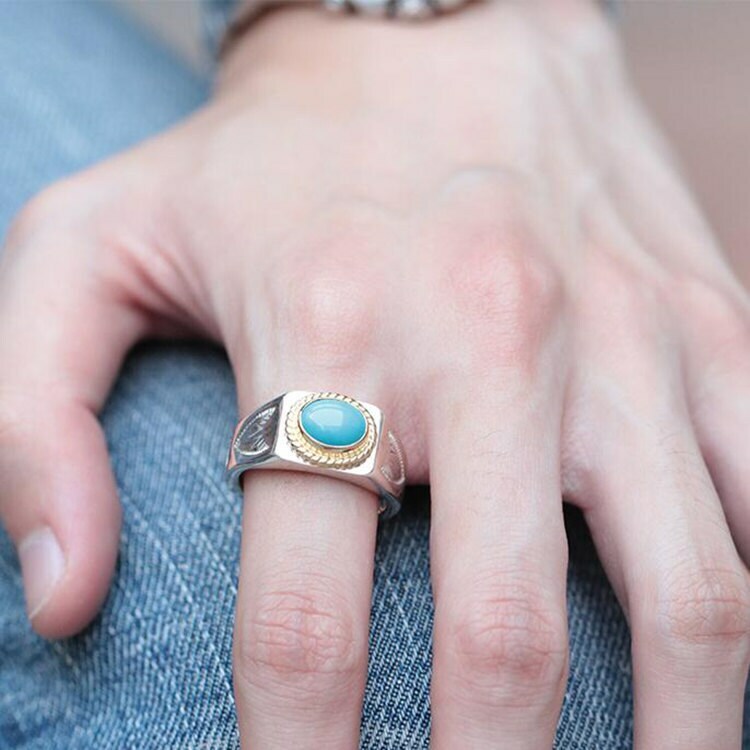 The gemstone signet ring is handcrafted in the signet style, with a square face featuring a single oval turquoise gemstone. 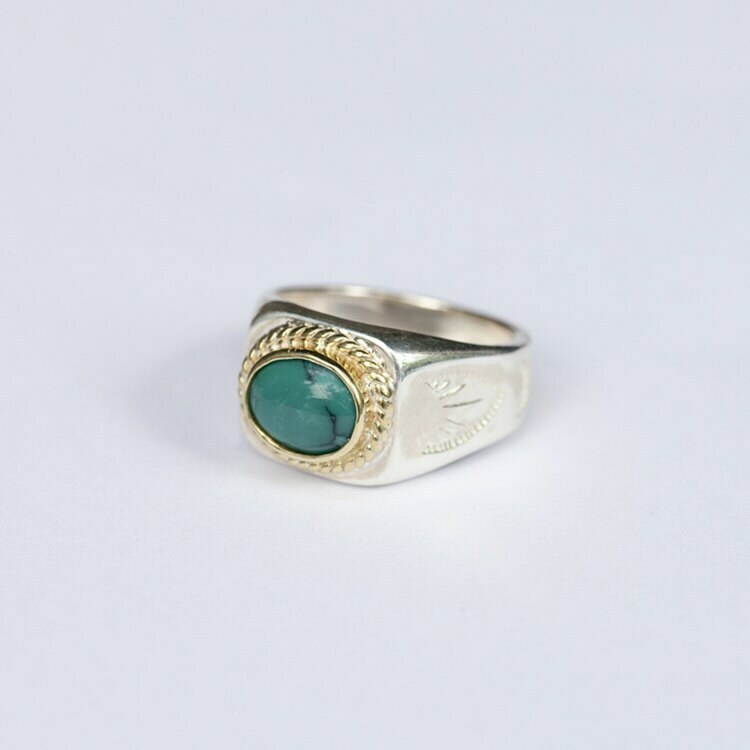 The gemstone sits on a base of twisted 18K gold wire - with a rope-like texture adding spice to the otherwise plain ring. 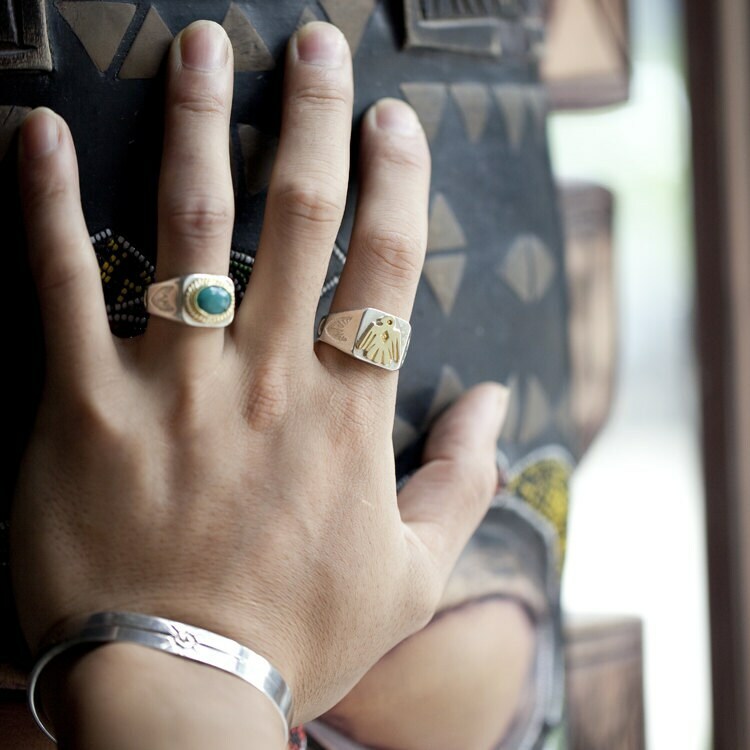 The wire wrapping is also available in brass and sterling silver. It is a chunky, heavy ring with a lot of substance. 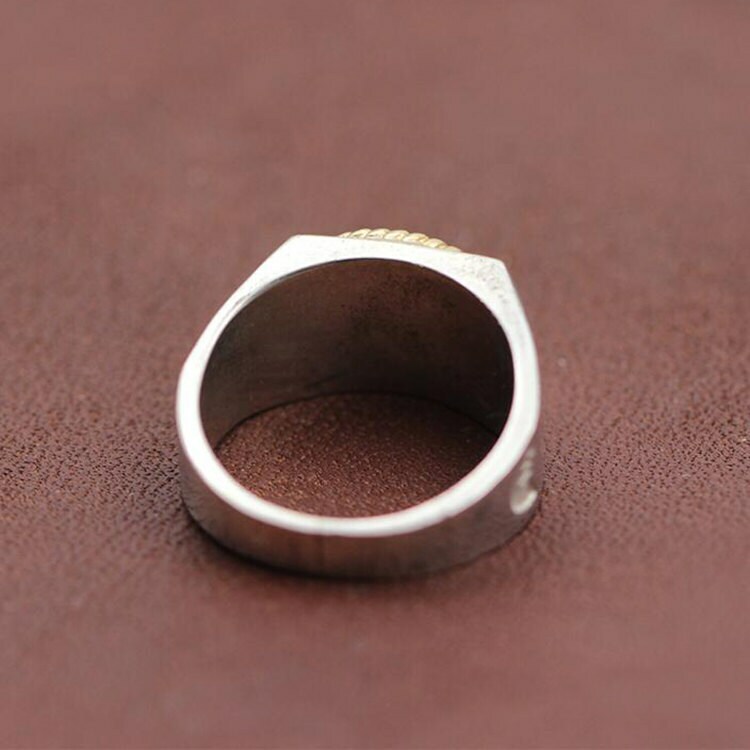 The wide sides of the ring are further decorated with subtle engraved pattern of the rising sun, with radiating rays and a halo. 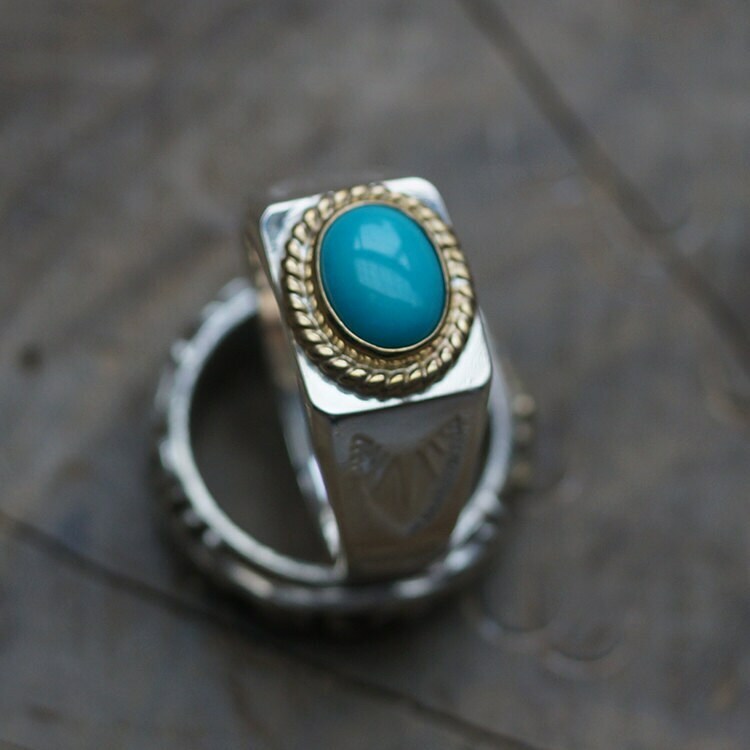 925 sterling silver, natural turquoise gemstone (7*9 mm), 18K gold/brass/silver wire wrapping.